Happy 2015! I'm back to workshop prep, mini crafty projects and making plans for TBD and 2015. I'm also killing it with thrift store finds... 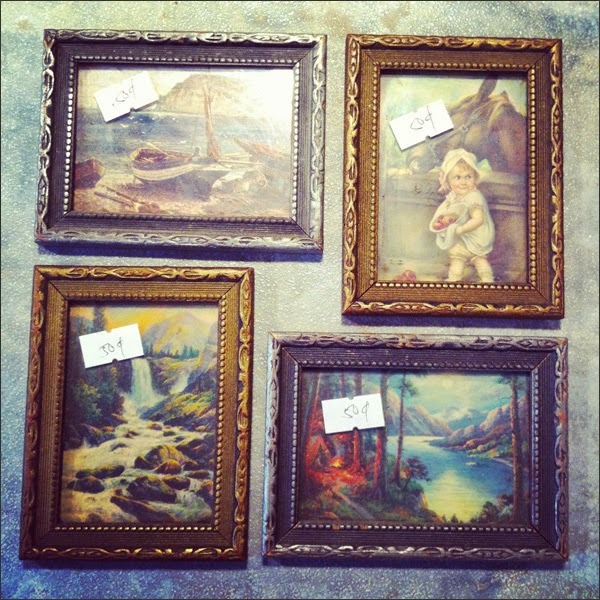 Whether it's $3 sweaters, $5 dresses or home decor pieces like these mini frames for $0.50/each. 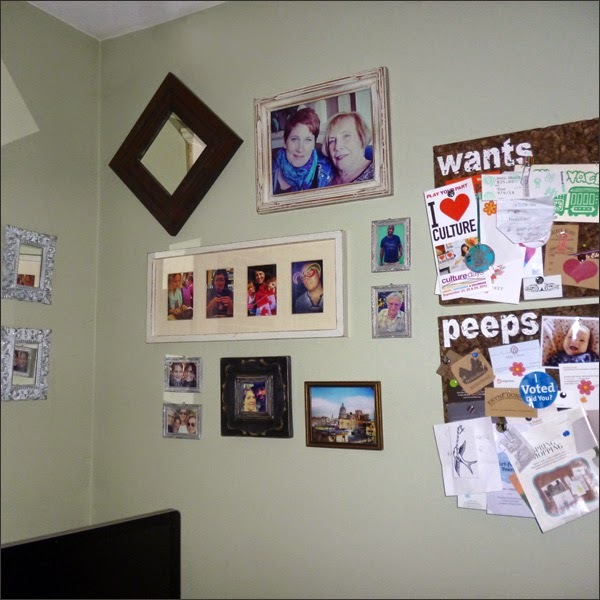 I took a break from DIY-ing gifties for friends to update these and add them to my 'wall of kewlness'. 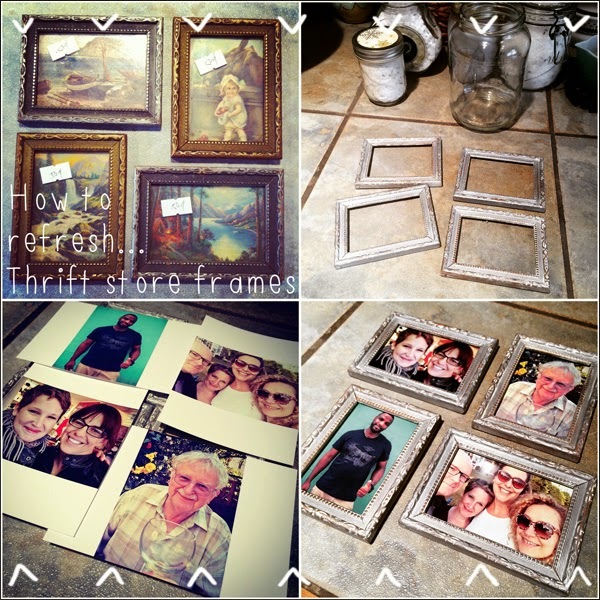 An easy peasy way to update thrift store frames is to shabby chic them. 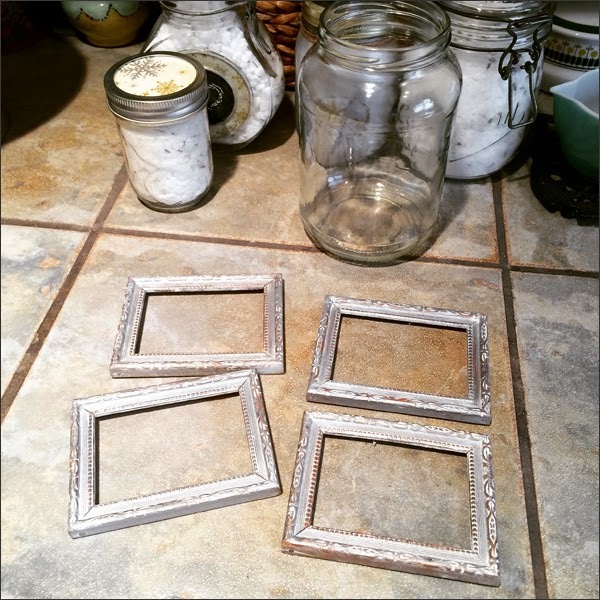 I painted the frame white then added silver then roughed them up a bit with sandpaper. I then added a coat of varathane to seal the paint. Now we're ready to add a refresh to what's inside the frames. 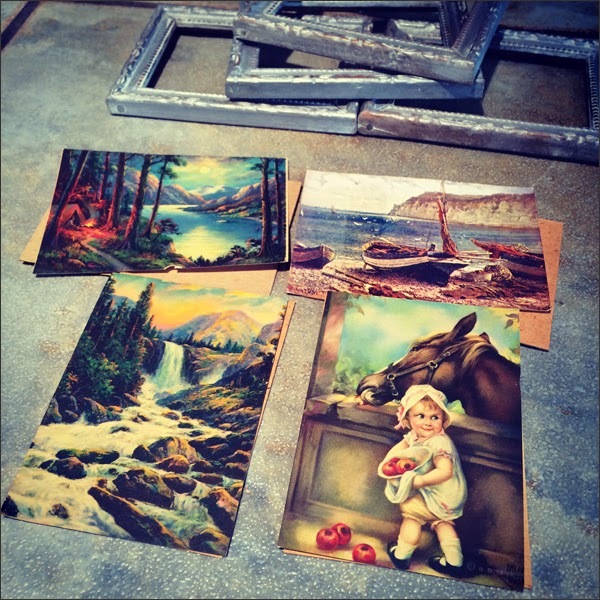 Here's the retro images from the frames. I may reuse these for something. Who knows! But they're kind of cheesy and worthy of keeping. 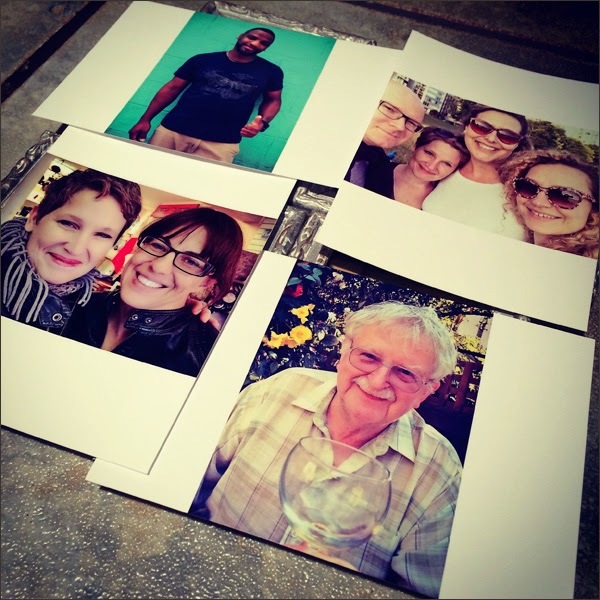 I got a few of my Instagrams printed for the frames. I resized them then sent them to London Drugs to get printed. Simple... And cheap! 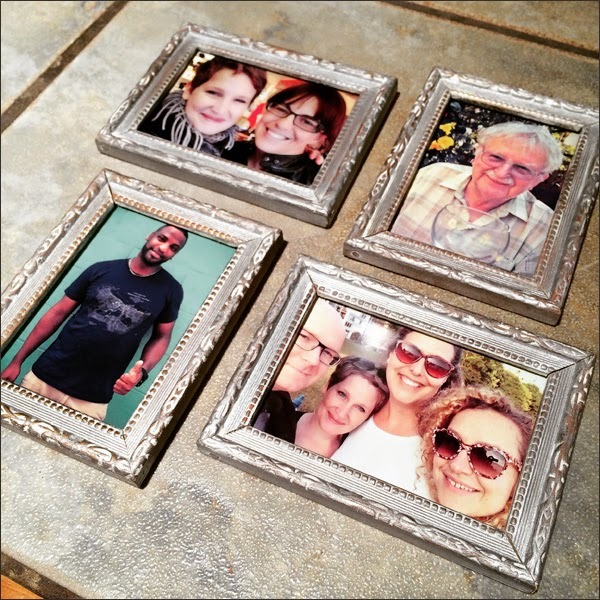 Here's the rundown... Find FAB thrift store frame, refresh it then add your own pic. Done! All this for under $5. 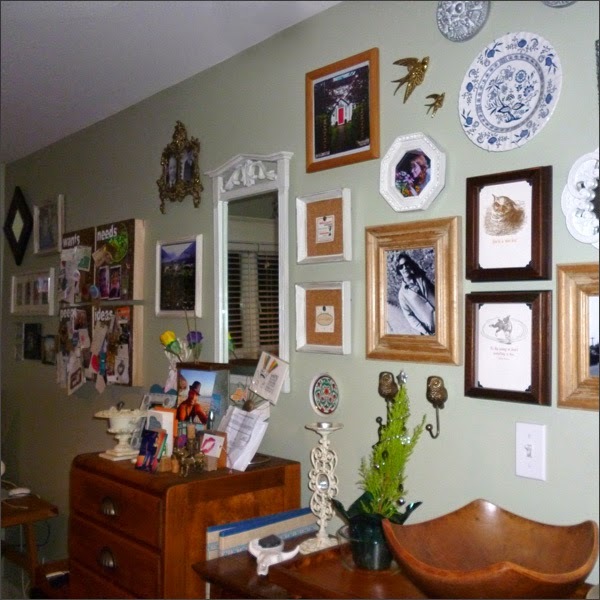 My 'wall of kewlness' is filled with funky finds, travel photos, pics of friends and family then I threw in a few mirrors. 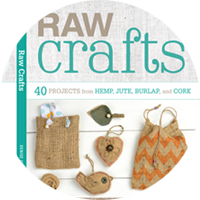 It's filled with crafty and thrifty goodness. Next up... Workshop prep! 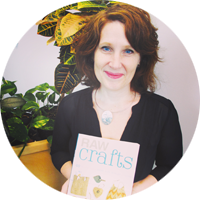 Find my 2015 upcycling workshops at www.thriftybydesign.ca. Hope to see you at a Crafternoon soon! I'm also giving an upcycling demo at Our Social Fabric's live fashion show of recycled and repurposed clothing 'Re-Purposeful' on Sunday, January 25th from 2pm to 4pm at Highlands United Church. Get tickets at www.eventbrite.ca.